This is a prime example of a happy accident. 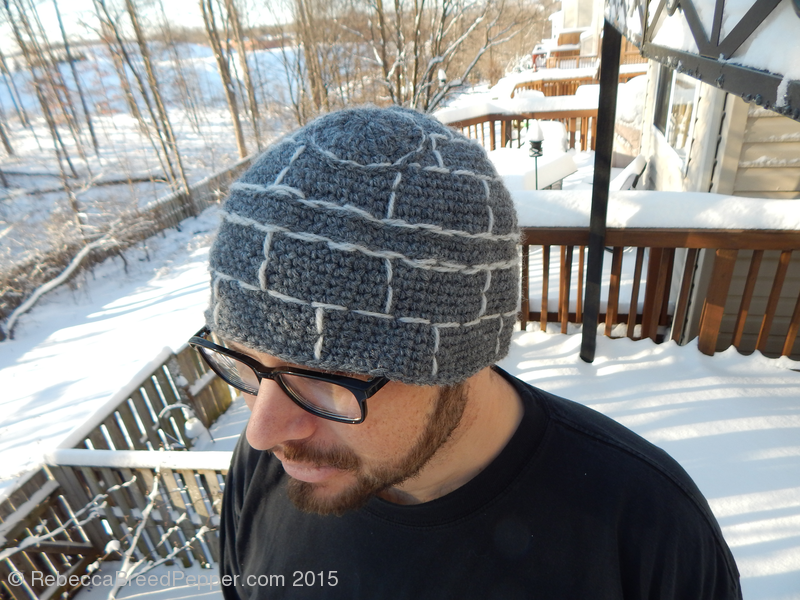 My husband asked me to make him this Crochet Death Star Cushion, so I pulled some grey yarn from my stash and began. Unfortunately, about two-thirds of the way through, I realized I didn’t have enough yarn. I ripped out most of the stitches, tried to reconfigure the math to make it smaller, and started again. But it just wasn’t working, so I threw the half-finished thing on the kitchen counter in frustration. Imaginary superlaser and x-wing not included. And this makes scrap project 6/101. 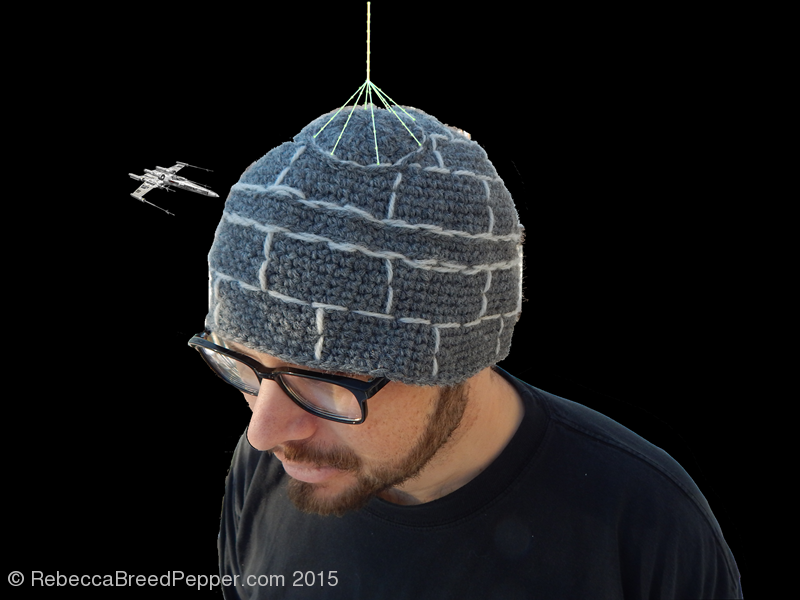 This entry was posted in Crochet, Things I Made and tagged 101 Scrap Projects, Crochet, hats, star wars. Bookmark the permalink. Oh, thank you! I really like your pattern, and can’t wait to try it again soon!